1) Madrid – Coupé au 1 de gueules à une tour sommée de trois tourelles d’or celle du milieu plus élevée la tour soutenue d’un fascé-ondé d’argent et d’azur de quatre pièces et acc de deux têtes de serpent d’or sortant des angles que la tour produit avec ledit fascé au 2 de sinople à un pont de cinq arches d’argent sur une eau d’azur le pont sommé de deux tours d’argent celle à dextre crénelée et sommée d’une bannière d’argent flottant à senestre ch d’une croix de gueules celle à senestre sans créneaux senestrée d’une échelle de sable qui y est opposéeEnglish: Per fess 1st gules with a tower surmounted by three turrets or that of the middle being the highest tower standing on a barry undy argent and azure of four pieces and accompanied by two heads of snake or coming out of the corners of the tower producing the aforesaid barry 2nd vert with a bridge of five arches argent over a river azure the bridge surmounted by by two towers argent that to the dexter embattled on the upper side and surmounted by a square flag argent flying to the sinister charged with a cross gules that to the sinister without merlons having to the sinister a ladder sable which is resting upon it. 2) Castille – D’or à un arbre terrassé de sinople senestré d’un lion au naturel rampant contre le fût à la bordure de gueules ch de huit flanchis d’orEnglish: Or with a tree on a mount vert having to the sinister a lion proper rampant against the trunk a bordure gules charged with eight saltorels or. 3) de Arellano – Navarre – Parti de gueules et d’argent à trois fleurs-de-lis de l’un à l’autre 2 et 1English: Per pale gules and argent three fleur de lys counterchanged 2 and 1. 4) de Arellano – Castille – Parti d’argent et de gueules à trois fleurs-de-lis de l’un à l’autre 2 et 1 à la bordure d’azur ch de huit fleurs-de-lis d’argentEnglish: Per pale argent and gules three fleur de lys counterchanged 2 and 1 a bordure azure charged with eight fleur de lys argent. 5) de Montalvo – Castille – D’azur à la barre voûtée de gueules soutenant un chien courant et contourné d’argent et acc en pointe d’une tour sommée de deux tourelles du même au chef du premier ch d’une aigle de sableEnglish: Azure with a bend sinister arched gules supporting a dog courant [running] and reversed argent and accompanied by in base a tower surmounted by by two turrets of the same a chief of the first charged with an eagle sable. 6) Radicado en Madrid – En campo de oro, una mano de carnación. 7) Radicado en Jubera – En campo de gules, una cruz de oro, perfilada de plata, y con un segundo perfil, de oro. 8) Vecino de Illán de Vacas – En campo de azur, un escudete, de plata, cargado de una banda, de gules. 9) Originario en León y radicado en León y Salamanca: – En campo de plata, trece ollas, de gules, puestas tres, tres, tres, tres y una. 10) Los originarios de Burgos, con diferentes ramificaciones, traen – En campo de plata, una encina arrancada, de sinople, con un león empinante al tronco, en su color; bordura de gules, con ocho aspas, de oro. 11) Los Ramírez de Cataluña traen – En campo de azur, tres cuadros, de oro, bien ordenados, cargado cada uno de un árbol, de sinople. 12) Otros traen – En campo de gules, tres estrellas, de oro, bien ordenadas. 13) Los de Astulez (Álava), Francia y Bélgica traen – En campo de gules, dos telares de oro, puestos en faja. 15) Los de Castilla, traen – Escudo terciado en palo: 1º , en campo de oro, tres bandas de azur; 2º, en campo de azur, tres flores de lis de oro, puestas en palo; y 3º, en campo de plata, un árbol de sinople. 16) Los de Navarra y otros de Castilla, traen – Escudo partido: 1º, en campo de oro, tres bandas de gules, y 2º, en campo de oro, un pino de sinople y un león al natural empinado al tronco; bordura de gules con cinco sotueres y cinco veneras de oro alternando. 17) Los de Lizoain traen – En campo de plata, un águila, de gules; bordura ajedrezada de plata y gules en dos ordenes. 18) Los de Asturias, traen – Escudo cuartelado en sotuer: 1º y 4º, en campo de azur, una caldera de oro, y 2º y 3º, en campo de plata, cinco sierpes de sinople, puestas 1, 3 y 1. Bordura de gules, con diez escudetes de plata, cargado cada uno de un castillo de oro. 19) Otros traen – Escudo partido de gules y oro, con una flor de lis del uno en el otro; en punta sobre la partición, otra flor de lis, mas pequeña, del uno en el otro. 20) Los de Aragón, traen – En campo de sinople, tres palos de plata. 21) Los de Alicante, traen – Escudo partido: 1º, en campo de plata, seis palos de oro; y 2º en campo de plata, un árbol de sinople y un león rampante, al natural, asido al tronco. 22) Radicado en Granada – En campo de oro, un león rampante, de oro, uñado y linguado de gules. 23) Otros traen – En campo de plata, un castillo de su color, con dos banderas en el homenaje. 24) Otros traen – En campo de oro, un girón de gules. 25) Otros traen – En campo de sinople, un castillo de piedra, sobre ondas de agua de azur y plata, acompañado de dos cabezas de sierpe, de oro, una a cada lado: cortado de sinople, con un puente sobre agua, sumado de dos torres, una almenada, con una bandera de plata, en las almenas, cargada de una cruz, la otra torre, sin almenas. 26) Los de Palencia, traen – En campo de sinople, tres merletas, de oro, puestas dos y una. 27) Otros de Aragón, traen – En campo de sinople, cinco manos goteando sangre, perfiladas de plata, y puestas en aspa. 28) Los de León, traen – En campo de plata, un castillo, de gules, mazonado y ardiendo, siniestrado de un brazo que sostiene una tea encendida. 29) Otros de Castilla, traen – Escudo cuartelado en sotuer: 1º y 4º, en campo de gules, una caldera de oro, y 2º y 3º, en campo de oro, cinco sierpes de sinople, puestas 1, 3 y 1. Bordura de gules, con diez escudetes de plata, cargado cada uno de un castillo de oro. 30) Radicado en Pobladura del Valle – En campo de oro, dos soles, radiantes, de gules. The surname Ramirez is originally from Spain, circa the half of the 9th century, but its history can be traced even deeper into the past. During 410 AD, the barbarian tribe of the Visigoths swept down Europe in their fight against the Roman Empire, and in the end, they took the Spanish region and then held it for many centuries. These were people who came from the Germanic region, and through their war campaign, they spread their culture, which included their names and surnames. From this point on, there were many theories that explained the creation of the surname Ramirez. However, they all share some aspects in common, such as its Germanic origin thanks to the Visigoths, and most importantly, the etymological aspect, i.e., that it is a patronymic surname. A patronymic surname is one that comes from the name of the father and means that the child is his son. An example of this phenomenon in English is the surname Robertson, which means that the bearer is the son of a man named Robert. In Spanish, patronymic surnames are recognized for using the suffix “ez.” This why, for some experts, Ramírez means “son of Ramón,” but the most popular theory states that Ramírez means “son of Ramiro.” The oldest appearance of Ramírez in its current form belonged to Justa Ramírez of Berbinzana, who lived in the province of Navarra, Spain. Despite the fact that this surname is originally from a specific region and a specific tribe, it still has several spelling variations due to the evolution of language and the fact that not all bearers of the surname Ramírez are related to each other. Throughout time, some lines of Ramírez changed their name in some parts or came from different regions of Spain. Some of the most important and different forms of Ramírez are Ranimírez, Ranimirez, Ramirez, Raimíriz, Ramiriz, Remíriz, Remiriz, Remírez, Remírez, Reymer, Reymers, and many others. It is important to remark the use of the accent mark since its use is an essential aspect of the Spanish language because its presence or absence indicates the correct pronunciation of a word and thus changes it. That is why there are spelling variations where the only different aspect is the accent mark, which makes them a completely different surname. Ramírez is one of the most popular and widely spread surnames in the world, especially in the countries of South America, which is why it holds the 140th position in the rank of popular of the most popular surnames on the whole planet. There are approximately 3,518,682 people who bear it, the country where it is most prevalent is Mexico, and it has its highest density in Costa Rica. The nation that has the second highest amount of Ramírez bearers is Colombia, followed in third place by the United States, and Venezuela in fourth place. This information is taken from the census of 2014. Thanks to the popularity of the surname Ramírez, there are many bearers who used it throughout the centuries. In the case of some, they bore variations of the surname, such as Johannes Reimer of Lubbeck in Germany during 1317 and Martin Reymer, also from Germany, in 1435. This is not rare because its original form, Ramírez, has a Germanic origin. In the current form of the surname, there was Garzia Ramírez from Navarra Spain and Mesa Ramírez of Alhendin from Granada, Spain in 1747. There were others such as Franciso Ramíres y Ramírez, a general in the army at the service of Ferdinand and Isabella, who played a key role during the retake of Malaga and Granada; Andrés Ramírez, an author from Sevilla, Spain, and Alonso Ramírez, who was a Puerto Rican explorer. Ramírez is a very popular surname, so there are a lot of lines that are not related to each other. This is very common among patronymic surnames. 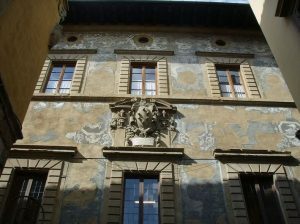 The first house who used the surname Ramírez was created by Gracián (Garzia or Cargía) Ramírez in Madrid. 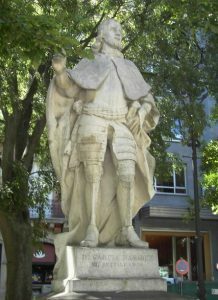 Gracián Ramírez was the first ruler of Madrid, and he had a son, Juan Ramírez, who served Alfonso VI. 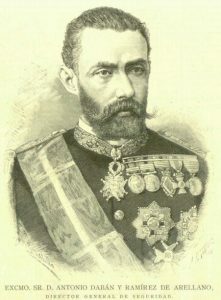 There was another descendant of Gracían named Diego Ramírez, who served under King Fernando IV. Another family with this surname were the Ramírez de Arellano, whose leader was Juan Ramírez de Arellano, Lord of the Arellanos and of the Cameros in Castilla, Spain, who served King Carlos II. His son, also named Juan Ramírez de Arellano, would die during the Battle of Aljubarrota in Portugal, on August 14, 1385. A descendant of Juan Ramírez of Arellano’s son was Alonzo Ramírez, who was the first Count of Aguilar. From this family, two important members would be born: Pedro Ramírez de Arellano, who had his offspring in the New World and later had ties with another family with a popular Spanish surname – Cortez. The other descendant of Juan Ramírez de Arellano was Diego Ramírez (b. 1633), who was a great sailor and cartographer that discovered a group of islands, which were named after him. One of the most important branches of Ramírez families of which there is an excellent record of its members, are the Ramírez of Azua, from the Dominican Republic. They arrived from Spain between 1810 and 1820, and they were five brothers and sisters who had their descendants in this new country. They were: Manuel María Ramírez, who settled in Santiago de los Caballeros, Blas Ramírez who settled in Azua, Santiago Ramírez and Rafael Ramírez, who then went to the Puerto Rico, and Juana Ramírez de Feliz, who settled in Azua. 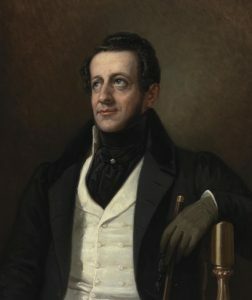 Manuel María Ramírez married Maria Antonia Díaz, and they had two children: Manuel Ramírez Díaz, who was born in 1814 and Josefina Antonia Ramíres, who was born in 1816. Records of the offspring of Josefina are hard to find because this was a very popular name in Santiago de los Caballeros, which makes them difficult to trace. However, the records of Manuel Ramírez Díaz show that he married María del Pilar Quiroz from Tamboril and that they settled in Laguna Prieta and had 9 children: Rudescindo Ramírez Quiroz in 1838, who was known as “Don Rubio”, Isaías Ramírez Quiroz, Olegario Ramírez Quiroz, Rafael Ramírez Quiroz, José Antonio Ramírez Quiroz, Amalio Ramírez Quiroz, David Ramírez Quiroz, who was born in 1850 and died in 1914, Zacarías Ramírez Quiroz, and Ignacio Ramírez Quiroz. Rudescindo Ramírez, also known as “Don Rubio,” married Eulogia Fernández and they settled in San Juan, but they didn’t have any children. Isaías Ramírez got married to Micaela Rosado, and they also lived in San Juan. They had one daughter: Virginia Ramírez Rosado. 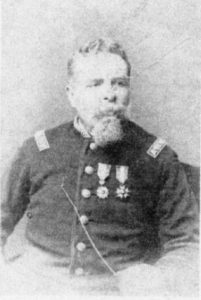 Another brother, David Ramírez, played an important role in the revolution known as “Los seis años de Báez” in which he earned the rank of general. He married Altagracia Alcántara y Fragoso, and they settled in the San Juan village. They had the following children: David Ramírez Alcántara, who was born in 1884 and died in 1918, Eliseo Ramírez, who was born in 1886 and died in 1943, Magdalena Ramírez, who was born in 1887 and then died in 1939, Carmen Ramírez who was born in 1889 and then died in 1980, and José Antonio Ramírez Alcántara, who was born in 1890 and died in 1972. From this group of siblings, David Ramírez Alcántara, Eliseo Ramírez Alcántara, and Magdalena Ramírez Alcántara, died without leaving any children. However, Carmen Ramírez Alcántara married uín Marchena, a musician and photographer from Azua, and they had one daughter: Lucía Marchena Ramírez. 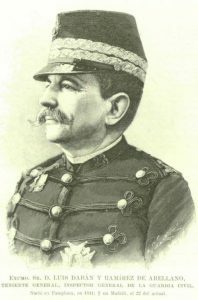 The youngest of the brothers, José Antonio Ramírez Alcántara, earned the rank of Second Lieutenant in the Republican Guard. After being wounded in battle, he left the military and became a lawyer, with which he accomplished many achievements. 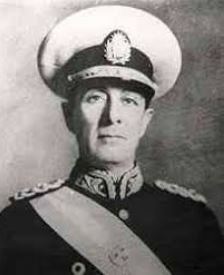 He married several times, the first time was to Adela Caamaño in 1919, and they had Azucena Ramírez Caamaño de Carrión, who later married Marcelo Carrión. From this marriage, Marcelo Carrión Ramírez and Ada María Carrión Ramírez were born. José Antonio Ramírez and Adela Camaño had more children, including another daughter named Pura Ramírez Caamaño, who married Arturo Matta and had two daughters Azucenita and Georgina Matta Ramírez. The only son of José and Adala was David Ramírez Caamaño, who married Martha Sainz y Padre, with whom he had the following children: Alvaro David, Fernando David, and María Ramírez Sains. 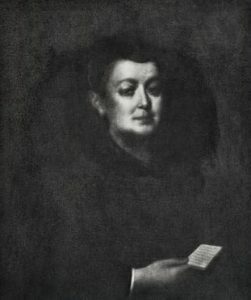 Then, José Antonio Ramírez Alcántara got married to Consuelo Bermúdez. From this marriage, they had Domingo Max Ramírez Bermúdez (1935-1954). He didn’t marry and didn’t have any children. The daughter of José and Consuelo was Estela María Ramírez Bermúdez, who was born in 1936 and married Enrique Chupani. Their children were Altagracia Estela, María Consuelo Vanesa, and Enrique Jesús Chupani Ramírez. After having these children, José and Consuelo got divorced. Following their divorce, José Antonio Ramírez Alcántara married Veracruz Suazo Báez in 1938. They only had one child, Sinecio Aquiles Ramírez Suazo, who was born on December 12, 1939. Sinecio married Carolina Martín del Campo, and they had a child, Ignacio Alejandro Ramírez, on July 31, 1981. Sinecio got married a second time to Ana Silvia Belliard Gómez, and their children were Sinecio Emilio, David Abraham, José Del Carmen Patricio, and Sergio Aquiles Ramírez Belliard. Then, José Antonio Ramírez Alcántara got married again in 1946 to Pura Livia Hirujo Olmos, and they lived in Monte Plata. They only had one child, Eddy Ramírez Hirujo on November 25, 1948, who had many children from three different marriages. The first time Eddy got married was to Georgina Alvarez, and their children were Eddy Miguel and Georgina. The second marriage of Eddy was to Ruth Khon, and they had the following daughters: Doris Ruth and Elena Altagracia. The third marriage of Eddy was to Lady Jiménez, and their children were Greysi and Eddy Rafael. Eddy got married one last time, on this occasion to Soreidis Guzmán, and their children were Eddy José, Edith Marie, and Marie Libia. 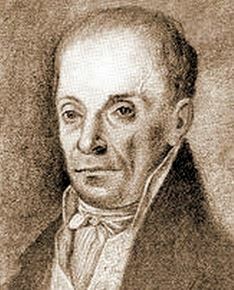 José Antonio Ramírez Alcántara married many times more and had more children with each marriage. Ramírez is one of the first foreign surnames to reach the New World, throughout all the centuries until today. So, there were a lot of people who traveled from the old continent to America in the whole extension of its territory. Some of the most important travelers were: Andrés Ramírez, who arrived in Florida in 1538; Luis Ramírez, who landed in Río de la Plata, Argentina in 1528; Cristóbal Ramírez, who got to Perú in 1560, and Juan Ramírez, who arrived in New Granda (now Colombia) in 1561. During the 19th century, others arrived such as Antonio Ramírez, who got to America in 1813; Diego Ramírez, who arrived in America in 1816; Melchior Ramírez, who went on an expedition to Argentina, but only made it to Brazil, and González Ramírez, who arrived in New Orleans in 1829. There were probably other bearers of the surname Ramírez in the travels of Christopher Columbus, but there are no records of that crew. We were unable to locate any documented mottoes for the Ramírez family. We were unable to locate any documented grantees for the Ramírez family. There are many remarkable people in different fields that bear the surname Ramírez, which is not odd due to the popularity of said surname. Some of the most notable Ramírez are: Elkin Ramírez (1962-2017), a Colombian singer and leader of the band Kraken, Alejandro Falla Ramírez (b.1938,) a Colombian professional tennis player, María Teresa Ramírez (b. 1954), swimmer and Olympic medalist from México, and also from México the doctor and surgeon Jesús Alanis Ramírez. Other norables include Edgar Ramírez (b.1987), a well-known actor from Venezuela, Gastón Ramírez (b.1990), a Uruguayan footballer, and Hernán Ramírez Necochea (1917-1979) a Chilean historian. The list continues with José Ramírez (1858-1923), a Spanish luthier and founder of Ramírez Guitars, José Luis Ramírez (b.1958), a Mexican lightweight boxer, Juan Diego Ramírez (b.1971), a Colombian road cyclist, Pedro Pablo Ramírez (1884-1962), the 27th president of Argentina, Jaime Patricio Ramírez (b. 1967), a Chilean football player, Efren Ramírez (b. 1973), an American actor, and finally Dania Ramírez (b. 1979), a Dominican actress. 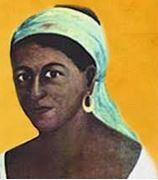 Juana Ramirez (1790-1856), known as “La Avanzadora”, soldier & heroine of the Venezuelan War of Independence. The Ramirez Family Crest or Ramirez Coat of Arms has many symbols, two prominent ones of which are the tree and the fleur-de-lis. Amongst the natural objects depicted on a coat of arms, trees feature frequently, either in whole or as individual branches and leaves. Sometimes the species or the part of tree was chosen as an allusion to the name of the bearer, as in Argent three tree stumps (also known as stocks) sable” for Blackstock 1180. Trees of course had long been venerated and its use in a coat of arms may have represented some association with the god Thor. Thank you for the information. Being a Ramirez, I wanted to know more about my lineage. Recently I received my Ancestry.com results indicating I have Spanish and Portuguese ancestry. How fascinating to now know my distant ancestors were Visigoths.